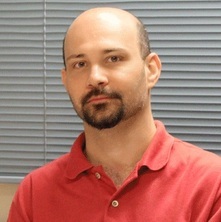 Dr Pedroso is an expert in numerical and computer methods for solid mechanics and materials modelling. He has a strong background in tensor calculus, partial differential equations, computational geometry, and computer programming, among other topics. Dr Pedroso has been developing methods to model the mechanical behaviour of porous media including mixtures of solids, liquids and gases. This expertise is now being carried over to modelling metals. He has also recently been engaged in machine learning, artificial intelligence, general nonlinear multi-constrained/multi-objective optimisation and structural reliability. Dr Pedroso has also developed new methods in molecular dynamics to model solids and granular assemblies. Therefore, his research work is quite multi-disciplinary but revolves around computational engineering and mechanics. Dr Pedroso is an expert in computational mechanics for porous media and optimisation and is reviewing papers for top journals such as Computer Methods in Applied Mechanics and Engineering, International Journal for Numerical Methods in Engineering, International Journal for Numerical and Analytical Methods in Geomechanics, Nature: Scientific Reports, Computers and Geotechnics, Geotechnique Letters, Advances in Engineering Software, Journal of Engineering Mechanics ASCE, Computer Physics Communications, International Journal of Plasticity, Soils and Foundations, Advances in Structural Engineering, Engineering Structures, among others. Dr Pedroso has organised the 1st Workshop on New Advances on Computational Geomechanics in Australia in 2008 and the 5th Workshop on New Frontiers in Computational Geotechnics in 2010. Both in Brisbane, Australia. Computational mechanics, including numerical methods for partial differential equations and mathematical models for materials’ mechanical behaviour, in particular porous media. Dr Pedroso secured an ARC-DECRA (DECRA 2012 – Only 2 awards in Civil Engineering in the Country – highly competitive scheme with a success rate around 11% at that time), 1 ARC-DP, 3 ARC Linkages and some industry projects. He also recently received a full sponsorship to visit SimTech at the University of Stuttgart, Germany. Dr Pedroso is also a Chief Investigator of the Advance Queensland Project with Boeing with funding over $2 million. Dr Pedroso is currently supervising 4 PhD students and 1 Master student. The quality of his undergraduate teaching has been highlighted by the best student feedback for delivering CIVL250 in 2013 and best student feedback for delivering CIVL450 in 2010 and 2012. He has also been nominated as one of the most effective lecturer in recognition to his contribution for CIVL450. Significant change or advance of knowledge in your field. Dr Pedroso has independently developed mathematical models, solution methods, algorithms and computer codes for a number of applications in geometry, mathematics, physics and engineering. He has currently 27 journal papers in top-journals including papers published with him as the first author. He has also a number of papers submitted with some under revision. He has a comprehensive set of computer libraries written by his research team and published at https://github.com/cpmech that serve as a foundation for his students’ and his research work on computational mechanics. These include recent and new evolutionary algorithms for multi-objective and multi-constraints optimisation (publications are underway). The set of libraries has been developed with much hard work and has been made open source for the benefit of the scientists, engineers and the community. The number of innovative, advanced and much organised computer code is significant as illustrated by simply looking at the code repositories. The indirect impact of this work is demonstrated by the number of followers and stars gained along the years through the GitHub social networking. For example, Gosl (Go Scientific Library) has attracted 723 stars. Finally, this set of computer tools is becoming of great interest by other research centres in the world, including the SimTech cluster of excellence in Germany which has recently sponsored Dr Pedroso’s visit to deliver the End of Term (2016) lecture and demonstrate the capabilities of his research and computer codes. Buzzi, O., Pedroso, D. M. and Giacomini, A. (2008) Caveats on the implementation of the generalized material point method. CMES - Computer Modeling in Engineering and Sciences, 31 2: 85-106. Pedroso, Dorival M., Farias, Marcio M. and Nakai, Teruo (2005) An interpretation of subloading tij model in the context of conventional elastoplasticity theory. Soils and Foundations, 45 4: 61-77. Farias, Marcio M., Nakai, Teruo, Shahin, Hossain M., Pedroso, Dorival M., Passos, Paula G. O. and Hinokio, Masaya (2005) Ground densification due to sand compaction piles. Soils and Foundations, 45 2: 167-180. Liu, HY, Williams, DJ, Pedroso, DM and Liang, WM (2009). Numerical procedure for modelling dynamic fracture of rock by blasting. In: Chun'an Tang, Controlling Seismic Hazard and Sustainable Development of Deep Mines: 7th International Symposium on Rockburst and Seismicity in Mines (Rasim7) , Vol 1 and 2. 7th International Symposium on Rockburst and Seismicity in Mines, Dalian, China, (1551-1560). AUG 21-23, 2009. Pedroso, D. M. and Farias, M. M. (2007). Optimization of parameters of constitutive models using genetic algorithms. In: Pande, G. N. and Pietruszczak, S., Proceedings of the 10th International Symposium on Numerical Models in Geomechanics NUMOG 10 - Numerical Models in Geomechanics NUMOG 10. 10th International Symposium on Numerical Models in Geomechanics (NUMOG X), Rhodes, Greece, (641-646). 25-27 April 2007.